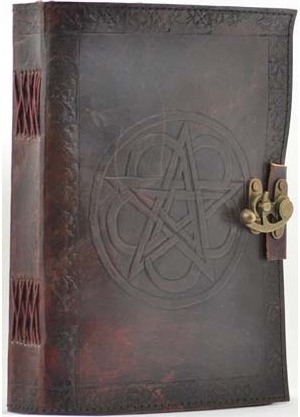 Hand tooled blank leather journal with embossed, interwoven pentacle & flower. Border embossing may vary. Sizes vary slightly. Leather, handmade paper. 240 pages, latch closure. 7" x 10"